Many of the top Jacksonville estate-planning attorneys use a Florida Pour Over Will to compliment a revocable, living, or irrevocable trust. A pour-over will in Florida transfers all of a person’s property and assets, that are subject to probate, into the decedent’s trust when he or she passes away. The property transferred into the trust is then distributed to the beneficiaries of the trust by the trust’s terms. A pour over will offers many benefits for estate planning with one of the benefits being that the pour over will helps to utilize the revocable or irrevocable trusts that a person creates. 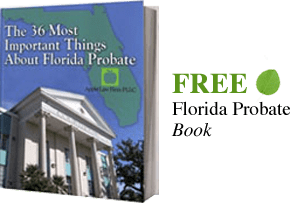 A Florida Living Trust is another great tool that permits a person’s property to bypass the probate process when he or she dies. Trust administration can be quicker and is not court supervised. The simple administration of a trust can help to ensure privacy and reduce the risk of litigation. However, for a revocable trust to work the decedent must transfer his or her property into the trust. This is called funding. Many trust-based plans fail because the individuals either fail to fund the trust or fund it incorrectly. At issue is what happens to property not placed in a trust or not placed properly? If the decedent does not have a will, then the property will pass outside of the trust by the law of intestate succession. If they do have a will, then it will pass by the terms of the will. A pour over will in Florida helps to ensure that the objectives of the will and the trust remain in sync. Often clients amend a trust but forget about changing the will. This type of change does not create a problem unless a pour over will is not used. This is why anyone using a trust for testamentary purposes should also use a Florida Pour Over Will. This Will ensures that the personal representative will transfer any property, not already placed in the trust, into the trust. This ensures only a single document controls your property, and also acts as a catchall in case, not every asset is accounted for in the trust. The Pour-Over Will can ensure that your any assets included in your probate estate are directed to your Revocable Trusts. This will ensure that duplicate distributions are not made. The Pour-Over Will can also provide for guardians for your minor children and act as a backup in case your trust is not valid, or not in existence at the time of your death. The main disadvantage of a Florida Pour-Over Will is the biggest problem with most Wills, which is the property included in the Pour Over Will must go through probate. This can be expensive and time consuming as well as become part of the public records. Unlike trusts, property within a Will does become public record after you die. In most cases, the majority of a person’s estate will be held in the decedent’s trust so that the trust property will be distributed quickly after death. The property in the Pour Over Will may take months before the court transfers the property. The testator must name a personal representative to administer the Will after he or she dies. After the will is admitted to the court and a Judge approves it the court in Florida will appoint a personal representative if the person designated in the Will cannot serve. Usually, the executor has many duties, and the administration process can take a while. However, with a Pour Over Will the personal representatives only duty will be to transfer any assets in decedent’s estate to his or her trust. Once the transfer is complete, the trust’s trustee is then in charge of administering the trust. The trust document itself will instruct the trustee on how to distribute the trust assets, and which assets, if any, are to remain in the trust. With the increase in families with children from outside the current marriage, a Florida will or Florida pour-over will is essential to make sure your assets are distributed to your desires. The default provisions of the Florida statutes often produce undesired results and can create a hardship for your family. Also, if you own property, have children, have recently been married or divorced, or want to make a specific gift it is important to create or update your Florida Will. Our Jacksonville, estate planning attorneys, can help make sure that property is distributed according to your wishes. The Pour-Over Will is used in conjunction with a Florida Revocable Trust or Florida Living Trust to eliminate or reduce estate taxes, death taxes, and avoid the costs, fees, and publicity associated with probate. A Florida Revocable Trust or Florida Living Trust is not necessary for everyone and only after an analysis of your goals and assets can the proper decision be made. We would be happy to do a free evaluation of your current situation to see what is the proper set of documents for your Florida Estate Planning needs. TO SET UP A Free Consultation*, CONTACT A JACKSONVILLE POUR OVER WILL LAWYER ONLINE OR CALL US AT (904) 685-1200.